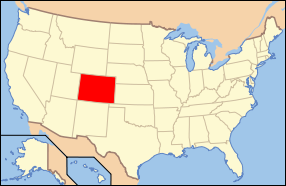 Colorado was one of a handful of states - along with South Carolina, Washington and a few others - which held that continued employment was not sufficient consideration for an at-will employee's agreement to a non-competition covenant. I have written often on this subject before. The issue arises in a fairly common fact pattern. If an employer requires an existing at-will employee to sign a non-compete under threat of termination, is this ability to fire enough legal "consideration" to form a valid non-compete contract? Colorado has now decided "yes." In Lucht's Concrete Plumbing, Inc. v. Horner, the Supreme Court of Colorado joined the majority of states and held that continued employment does provide sufficient consideration to form a valid non-compete agreement. This reverses last year's appellate decision, a summary of which can be found here. The Court quite simply held that since an employer may terminate an at-will employee at any time, its agreement not to discharge the employee once he or she signs a non-compete agreement is legal consideration to form a contract which is not illusory. The Court alluded to, but did not really discuss, the problematic situation of involuntary termination shortly after signing. Courts have recognized that there may be a consideration problem if the employer extracts a non-compete agreement from an existing at-will employee and then terminates him or her shortly thereafter. The Supreme Court of Colorado seemed to suggest this was not so much a consideration issue, but would bear on the agreement's overall reasonableness.